Though the international nonprofit's core mission will remain the same, it is planning to refresh its brand. Macy's is one company that donates to Make-A-Wish. (Image via the organization's Facebook page). PHOENIX: Global nonprofit Make-A-Wish has distributed an RFI to narrow down agencies before beginning a formal bid process to pick a firm for support with a brand refresh. The group will invite three agencies to participate in the subsequent RFP process. Twelve firms have received the RFI, said Josh DeBerge, senior manager of national communications at Make-A-Wish. A contract timeline and budget will be determined later in the process. Account work will focus on developing national messaging and visual platforms for the organization. The RFI stated that while the group is rebranding, its primary mission will remain the same. "We’ll always stay true to the core of what we do – but the brand is in need of an update to represent the energy and diversity of all our stakeholders, the uniqueness of the wish experience, and the life-changing impact a wish has on everyone involved," the organization said in the documents. 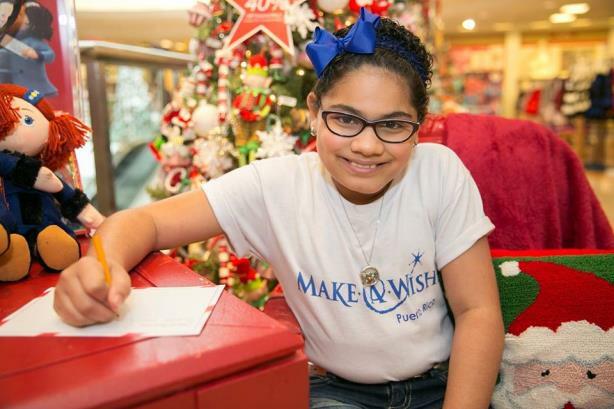 Make-A-Wish has not had a formal PR AOR in numerous years. It has previously worked with firms including WE, then known as Waggener Edstrom Worldwide. The group plans to release additional expectations about required services in the RFP. However, it is "particularly interested in agencies that may be able to provide a high level of in-kind support – equal to or greater than paid support," according to the RFI. The documents ask agencies to identify other work with nonprofits and cite potential conflicts of interest, as well as providing three success stories. Responses are due by January 11. Make-A-Wish will select the three firms to submit proposals four days later.